I haven’t blogged in a while, and just recently I had a sudden urge to express my feelings more clearly on the topic of what humans are doing to the Earth. First off, as we all know, humans are cutting down forests to make way for cities and towns and roads. Every inch of forest, every tree that we destroy, lessens the number of plants that provide the oxygen we breathe as well as the clean water we drink. Not only that, but there are billions of animals living from the highest branch to the lowest root of those forests whose lives depend on the trees staying put. About 900 million trees are cut down annually. We all harm the world. We all pollute. But some are way worse than others. We are rapidly changing the environment by adding too much waste to it, such as the carbon dioxide that generators and cars release into the air. Although releasing waste is a natural and necessary process–after all, plants need carbon dioxide to live, and one of their waste products is oxygen, which we need to live–we are releasing too much carbon dioxide into the air for the plants to absorb all of it. There are fewer and fewer plants to use it when we are cutting down more of them, and the extra carbon dioxide collecting in our atmosphere is a major cause of global warming. It’s easy for us to say ‘stop cutting down the forests and putting so much carbon dioxide in the air!’ But no, it’s much, much harder than that. It would mean we would have to stop driving cars and using electricity generated by fuel. We would have to find new ways to grow crops and house ourselves. It would be a very difficult thing to do as a society–maybe even impossible. Other forms of energy, such as wind energy, can generate electricity without emitting carbon dioxide. Wind energy generates electricity without emitting carbon dioxide. Some people are trying to build cars that run on hydrogen and release water instead of carbon dioxide. Some are also trying to generate electricity by using the sun, wind, or ocean tides so that there are no carbon dioxide emissions at all. We can each moderate our carbon dioxide emissions by walking or riding bikes instead of driving…and turning off lights and machines when we aren’t actually using them. But overall, we have a long, long way to go. In the oceans, the motors of ships are drowning out the noises of sea life. This is a very big impact on the natural world underwater; marine life live in a world dominated by sound. However, human activities using loud devices such as motors are beginning to drown out the natural sound of the oceans. For marine life, this has resulted in deafness, stress, avoidance behaviors that diminish feeding possibilities, and even death. Relatively simple solutions exist to help stop this, but what is needed is political will. Whales are being killed by noise pollution. Sonar, the submarine detection system used by navies all over the world. To detect targets, naval warships generate extremely loud waves of sound that sweep the ocean. Military sonar is an enormous predator. When exposed, whales go silent, stop foraging, and abandon their habitat. 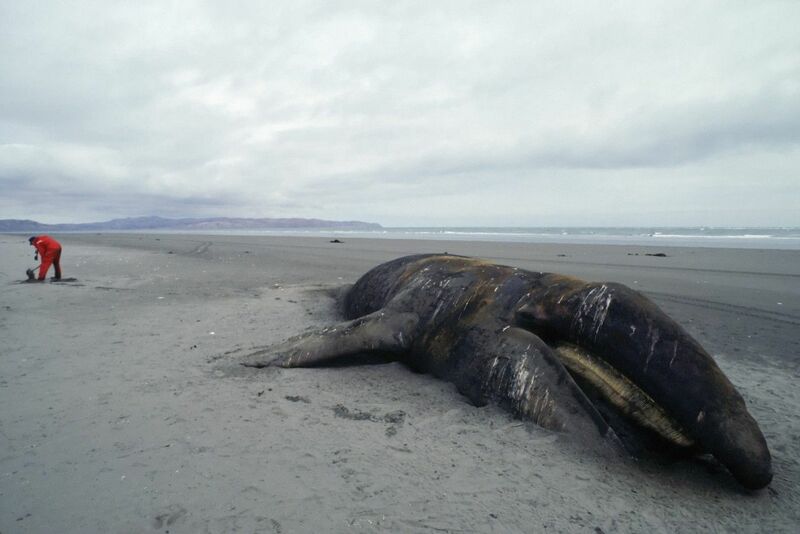 Repeated exposure can harm entire populations of animals, and has led to mass whale strandings all over the place. Shipping. At any given time, there are up to sixty thousand commercial ships traveling our seas…worldwide. Cavitation from propellers and the rumbling of engines reverberate through every corner of the sea. The incessant and increasing mixture of sounds will mask whales’ ability to hear and be heard, which is a punch to their hope of survival. Whales are using higher and higher pitched notes to locate each other above the din. And then seismic. Here we go: to detect oil and gas deposits beneath the ocean floor, seismic airguns–the modern form of exploratory dynamite–is what the petrochemical industry uses. Ships tow arrays of these guns and discharge super-intense pulses of sound toward the sea floor. During seismic surveys, acoustic explosions continue for days or weeks on end. The blasts disrupt critical behavior and communication among whales and can have massive impacts on fish populations. Oceans are among the earth’s most valuable natural resources, covering 70% of the planet. They govern the weather, clean the air, provide food for the world, and is home to millions. They are home to most of the life on earth, and yet we are bombarding it with pollution. However far from the coasts we may be, the ocean is the end point for most of the pollution we produce on land–all streams leading to rivers, all rivers to the sea. Carbon emissions, plastic, leaking oil, constant sonic noises…It’s estimated that by the end of this century, if we keep pace with our current emissions, the surface waters of the ocean could be nearly 150 percent more acidic than they are now. Trash, offshore drilling…whatever it is, our impact on the ocean is huge. Oil is killing off animals, we are hunting them, they are being tangled in nets and poisoned and the polluted waters from garbage are filtering into their gills. The dirty facts of ocean pollution. Many times, people hunt to survive. But perhaps even more times, as of these days, it is for fun and sport. Hyperconsumerism: the consumption of goods for non-functional purposes. Mobile phones have an average lifespan of one year. Cars and computers, a few years more. And then they are thrown away. 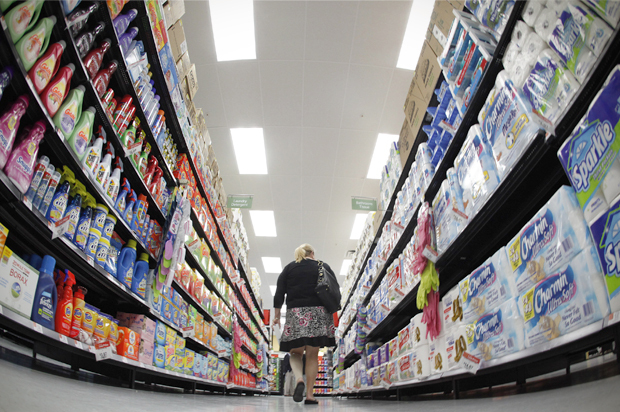 The average US supermarket offers 50,000 products. In the UK we throw away millions of tonnes of food a year. Hyperconsumerism leads directly to pollution, deforestation, over-extraction of minerals, and the waste of natural resources. 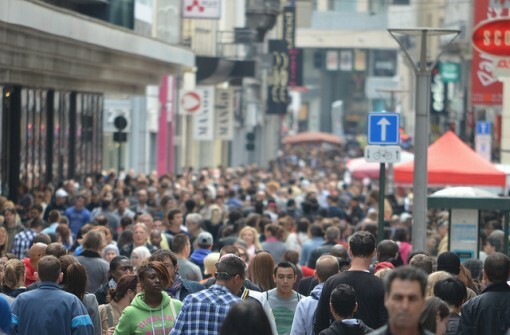 Our population level is rising drastically. I’m not sure of any completely accurate rates, but it seems that we are currently in the 7-billions, maybe more. So…here are some things you can do to reduce and prevent the rising levels of pollution: walking or riding more, driving less. Saving energy by turning off what you aren’t using; don’t-leave-the-TV-on and flick-the-switch-when-you-leave-the-room. Never pour chemicals or fertilizers down the drain, because they get washed into stormwater drains and into rivers and the ocean. Reuse items, recycle plastic…think about its uses before getting rid of it, and consider making something new out of something old. Just as long as you’re trying to help. Thanks. I was trying to decide what kind of animal to write about next (cats, otters, another ‘animal hero in wartime’…?) when I thought about bats. I have always had a fascination with bats. It was probably because I read the Silverwing series by Kenneth Oppel a long time ago (some of the coolest children’s books, really). The Giant Golden-Crowned Flying Fox was a species of bat I had researched many times long ago, and chosen never to write about, even though I have blogged about bats before. I don’t think it was ever about an individual species, just a general outlook on this tiny part of the class Mammalia. Also known as the golden-capped fruit bat, the giant golden-crowned flying fox is a rare and endangered kind of megabat, and also one of the largest in the world. They are native to forests in the Philippines. They can weigh up to 2.6 pounds, and their wingspan can stretch up to 6 or 7 feet, according to several different sources. This species thrives mostly on raw fruit and is non-aggressive toward humans. But despite their benevolence, handling the bat without proper training and vaccination is dangerous, because some of the bats could carry diseases. They have black bodies that contrast well with the golden fur around their heads, from which they get their species name. 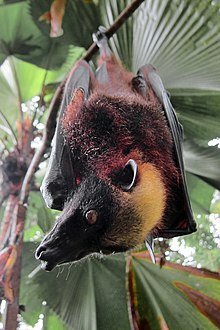 Like all other fruit bats, they have no tail (unlike megabats, this trait only occurs in certain species of microbats). 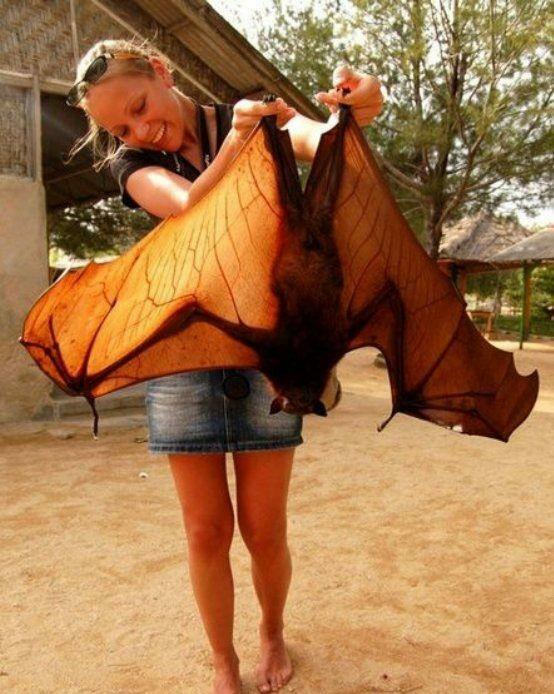 The only other bats with similar dimensions are a few species of Pteropus. Recent surveys have discovered that the range of the golden-crowned flying fox extends to the islands of Bohol, Boracay, Cebu, Leyte, Luzon, Mindanao, Mindoro, Negros, and Polillo. They are primarily nocturnal, and they can travel at least 25 miles in one night, searching for food. They are pollinators and seed dispersers for many trees in the Philippines, maintaining and increasing plant diversity. They also use water for grooming, often taking their time to do so. They frequently wash in the water, using their wings to scoop it up and pour it over their bodies. Their primary diet is composed of figs and leaves from the lowland forests of the Philippine Islands. When fruit bats were abundant in the Philippines, the giant golden-crowned flying fox and the large flying fox made colonies. It was this roosting behavior that kept them warm and safe from natural predators, but also made them more easy to hunt. The colonies reportedly numbered over 150,000 individuals. While their roosting-sites can be far from human presence, the roosting-sites of golden-crowned colonies can also be found near roads and adjacent to sub-suburban locations. While foraging for food, the bats could easily spread diseases to livestock via saliva contamination, potentially spreading a harmful virus family called Filoviridae. They live in deep caves as well as the rainforests. They typically follow the routes of the river, and experts believe that it is because they can easily find food sources in those areas. Golden-crowned flying foxes are known for having features similar to that of a fox, and many other canines. They also have ears that are pointed, unlike the usually rounded ears of most bats. One of the biggest contributors to the endangerment of the golden-crowned flying fox is due to hunting–as you may have expected. In addition to the demand for their meat and pelts, they are also hunted because they are considered pests for their destruction of fruit crops. They are apparently hunted especially in Southeast Asia, where half of the world’s flying fox species are located. Southeast Asia ultimately faces a widespread trend in fruit bat hunting, the world’s highest amount of natural habitat loss along with other factors that endanger the lives of giant golden-crowned flying foxes (my fingers have grown tired of typing that unnecessarily long name. Unfortunately, there is yet to come). The giant golden-crowned flying fox is threatened by deforestation, and they have completely disappeared from many islands in the Philippines, such as Panay and most of Cebu. The extinct Panay populations were once considered a different species, the Panay giant fruit bat, but is now included under Acerodon jubatus. Unfortunately, the species is not only hunted for their size but because of the availability of licenses; despite the fact that this species is endangered, they are still able to be hunted for sport and consumption when they are spotted outside of their roosts. In 2013, Bat Conservation International listed this species as one of the 35 species of its worldwide priority list of conservation. The local government of Maitum, Sarangani in the Philippines has organized a campaign to save the species from extinction. The Subic Bay region of the Philippines plays host to a lot of the research on this species. Subic Bay is a 14,000-acre protection area that is managed by people who want to preserve the species. Captive breeding is one of the more realistic and reasonable ways to conserve the species. 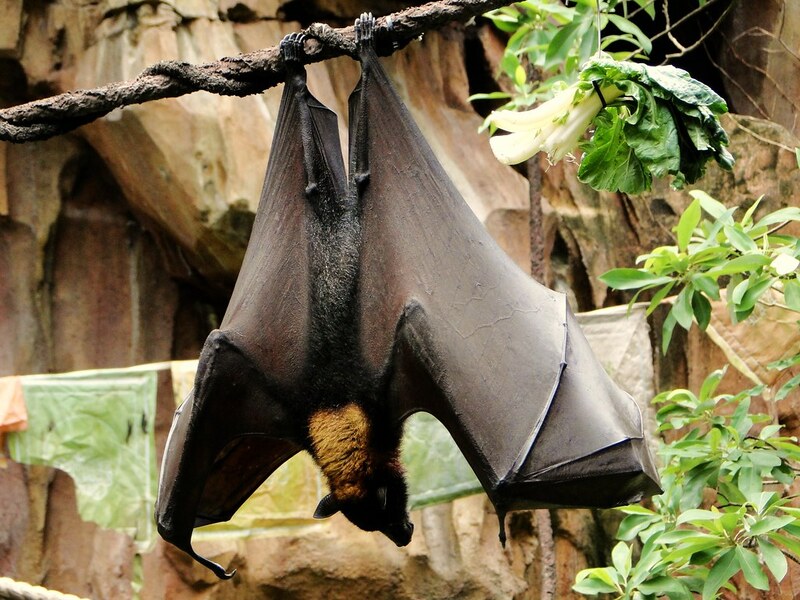 Serological tests on flying-foxes found that reston ebolavirus (which can cause serious infections in macaque monkeys, but not humans) is widespread in Philippine bats. The fieldwork was conducted on the Philippine island Luzon in two different locations. The first location was the Bulacan Province and the second location Subic Bay Freeport Zone. This finding in the bat brings forth potential risks. While searching for food, virus-carrying Golden-crowned flying foxes can increase viral load under the feed trees, which lengthens the risk. 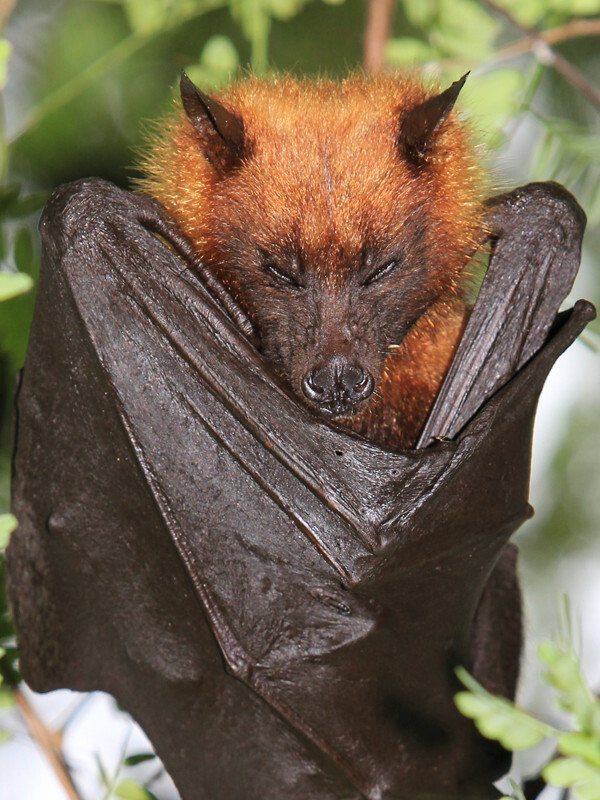 These discoveries suggest that reston ebolavirus is circulating through specific bat populations. Efforts to identify further evidence for viruses-infested bats in the Philippines are still underway. Another thing: nobody is born with a fear of bats. That comes later on. Me, though…HOW CAN YOU NOT LIKE BATS? Watching soaring shapes above, as a lowly grounded frond. High up in the wing-churned air. Dalmatians are dignified, smart, and outgoing dogs, devoid of shyness; they are bright and loyal and are good watchdogs, hunters and show dogs. 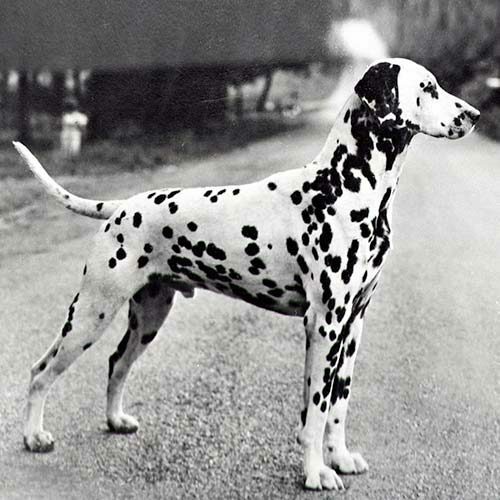 The Dalmatian is a popular breed of dog recognized for its unique black or liver-spotted coat. In early days, they were typically used as carriage dogs, which are dogs trained to trot alongside carriages and protect the occupants; the term ‘carriage dogs’ usually refers to a type rather than a breed. Dalmatians are widespread family pets and are often entered into dog show competitions by dog enthusiasts. The roots of the Dalmatians trace back to Croatia, and the historical region of Dalmatia. Dalmatians are muscular, medium-sized dogs that have excellent stamina and endurance. Males are usually larger than females, and according to AKC breed standards, fully grown adult Dalmatians stand from 19 to 23 inches tall. If you have seen the movie that widely popularized the breed (101 Dalmatians), then you know that they are born white and spotless. Their feet are round, with arched toes and nails that are usually white or the same color as their spots. Dalmatians’s eye color varies from brown to amber to blue, with some having multi-colored eyes. They have thin ears that taper towards the tips and are set fairly high and close to the head. The first spots usually appear 3 to 4 weeks after birth; however, spots are visible on the skin. After about a month, most of the spots are there, though they continue to develop at a much slower rate throughout their lives. Spots are commonly black or brown, but there are other, more rare spot colors that include orange, lemon, brindle, mosaic, bluish-grey, or tricolor-ed, with tan spotting on the eyebrows, cheeks, legs, and chest. 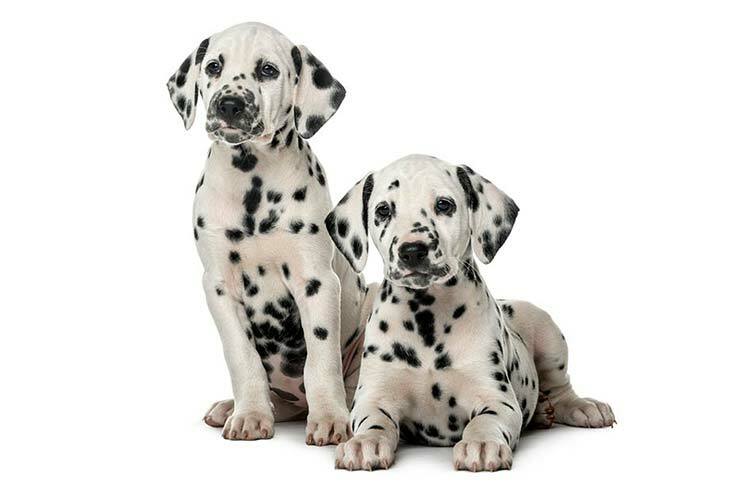 The coats of Dalmatians are usually short and dense and fine; however, smooth-coated dogs can occasionally produce long-furred offspring. Long-coated Dalmatians are not acceptable in the breed standard, and they shed much less than the short-coated kind, which shed considerably all year-round. The short and stiff hairs of this variety often weave into clothing and fabric such as carpets and upholstery and can be difficult to remove. Nothing can completely prevent the shedding, but the amount of hair Dalmatians shed can be lessened by weekly grooming with a hound-mitt or curry. Dalmatians lack a dog odor, because of the minimal amount of oil in their coats, and they stay fairly clean relative to many other breeds of dogs. They usually have litters of six to nine pups, but larger litters have been born on occasion, such as a litter of eighteen healthy puppies that were born in January 2009. The first illustrations of Dalmatians have been found in Croatia; an altar painting in Veli Losinj (1600–1630) and a fresco in Zaostrog. The first documented descriptions of the breed trace back to the 18th century, and it was mentioned and described in church chronicles in 1719 and 1739. In 1771, Thomas Pennant described the breed in his book Synopsis of Quadrupeds, writing that its origin was from Dalmatia, and thus referring to it as the ‘Dalmatian’. Thomas Bewick’s book, A General History of Quadrupeds (published 1790) refers to the breed as the Dalmatian, or Coach Dog. 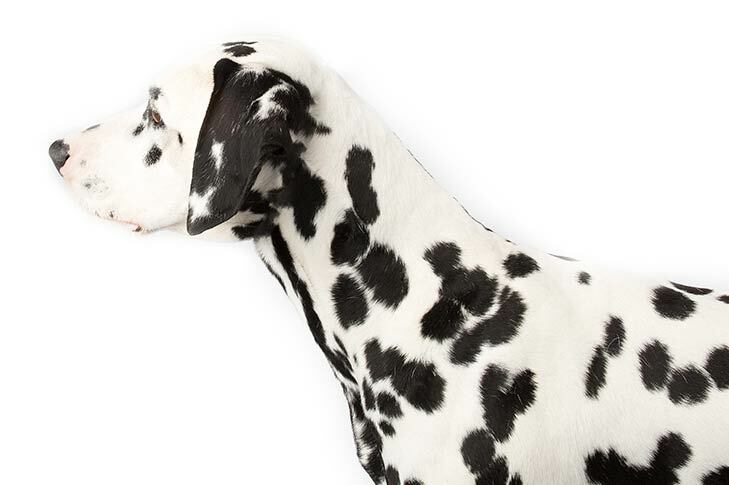 During the Regency period, the Dalmatian became a status symbol, trotting alongside horse-drawn carriages; those with decorative spotting on their coats were highly prized. For this, the breed earned the epithet ‘The Spotted Coach Dog’. They were also used to guard stables at night. The breed was developed and cultivated chiefly in England. The roles of this ancient breed differ largely: they were used as dogs of war guarding the border of Dalmatia, and to this day the breed retains a high guarding instinct. Though friendly and loyal towards familiar dogs and people that they trust, they remain aloof of strangers and unknown dogs and other animals. They also have strong hunting instincts and are good exterminators of rats and vermin. Their dramatic markings and intelligence have made them successful circus dogs throughout the years, and also in sporting. They have been used in packs of wild boar or stag hunting, and as bird dogs, trail hounds, and retrievers. However, Dalmatians are probably best known for their roles in working for firefighters, as firehouse mascots and escorts of firefighter vehicles. Because Dalmatians and horses are very compatible, the dogs have been easily trained to run in front of the carriages, to clear the path and guide the horses and firefighters quickly toward the fires. Their role in this became unnecessary once horse-drawn fire engines were replaced with steam and diesel powered ones, but they were also used to guard the horses, which would easily become uncomfortable at the scene of the fire. They are also considered great watchdogs, and so they are sometimes posted as guard dogs to protect the firehouses and their equipment; they are sometimes kept in the firehouses as a deterrence to theft, because fire engines that used to be drawn by fast, powerful horses were tempting targets to thieves. Dalmatians can suffer from hip dysplasia, hyperuricemia, and deafness. The average lifespan of a Dalmatian is between 11 and 13 years, according to the Dalmatian Club of America, and they are a relatively healthy and easy to keep breed. However, in their late teens both males and females may suffer from bone spurs and arthritic conditions. One of the biggest problems is a hearing loss; early breeders did not recognize the deafness, so they thought that the breed was unintelligent. Only about 70% have normal hearing. Deafness in piebald and albino animals is caused by the absence of mature melanocytes in the inner ear; breeders with a good reputation have their puppies tested to ensure the status of their hearing. Ocelots are wild cats native to southwestern United States, Mexico, Central and South America. 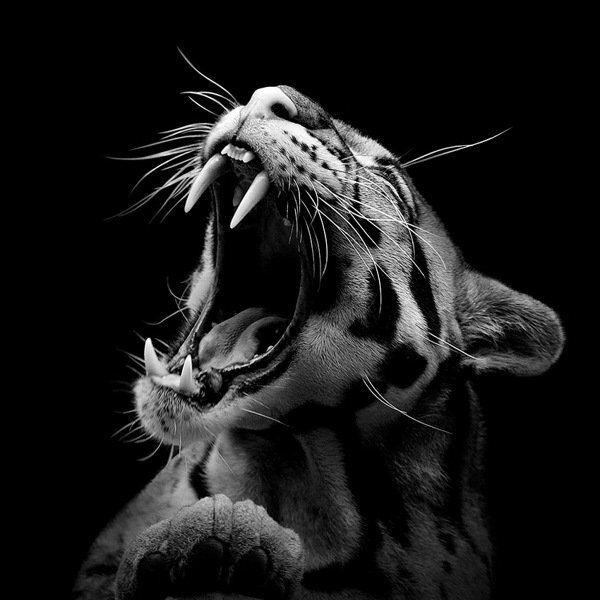 The population is considered stable, estimated to compromise more than 40,000 mature individuals; it is listed as Least Concern on the IUCN Red List, and though its fur was once considered particularly valuable, legal trade of ocelot pelts stopped several decades ago. In the US, ocelots inhabit mostly southern Texas and southern Arizona. The jaguar is larger and heavier and has rosettes instead of the spots and stripes of the ocelot. Ocelots are often confused with margays, but they can be distinguished by being twice as heavy, with a shorter tail and smaller eyes relative to the size of the head. They also have a greater head-and-body length than the margay and are a similar size to the bobcat. Ocelots have solid black markings on fur that is creamy, yellowish, tawny, and reddish grey or grey. They have small spots on the head and limbs, but the markings on the back, cheeks, and flanks are open or closed bands and stripes. Several dark stripes run from the nape to the tip of the tail, and its neck and undersides are white. There are a few horizontal streaks on the inside of the legs, and its ears, which are round, are marked with a bright white spot. Ocelots have brown eyes, but they reflect golden when illuminated. They weigh 24 to 35 pounds and have 28 to 30 teeth, with a 25.5 to 41 cm long tail and short fur. They are twice the size of the average house cat. Ocelots are largely nocturnal, active mostly at twilight and in the night. They do not avoid water, like many cats, and they swim well; they take to the trees often, to hunt monkeys and birds. They have keen sight and hearing, and their carnivorous diet consists mostly of rodents–such as rabbits–and frogs, iguanas, and fish. They are adapted for eating meat, with sharp back teeth that can tear food like scissors and pointed fangs which they use to deliver a killing bite. However, their teeth aren’t appropriate for chewing, so they first tear their food to pieces and then swallow it whole, using their raspy tongues to clean off every last bit of meat from the bones. Ocelots often live in the leafy canopies of rainforests, but they can adapt to human habitats and are sometimes found in the vicinity of villages and other settlements. Female ocelots have litters of two or three darkly colored cubs; in northern locations, they den in the autumn, but in tropical climes, the breeding season may not be fixed. 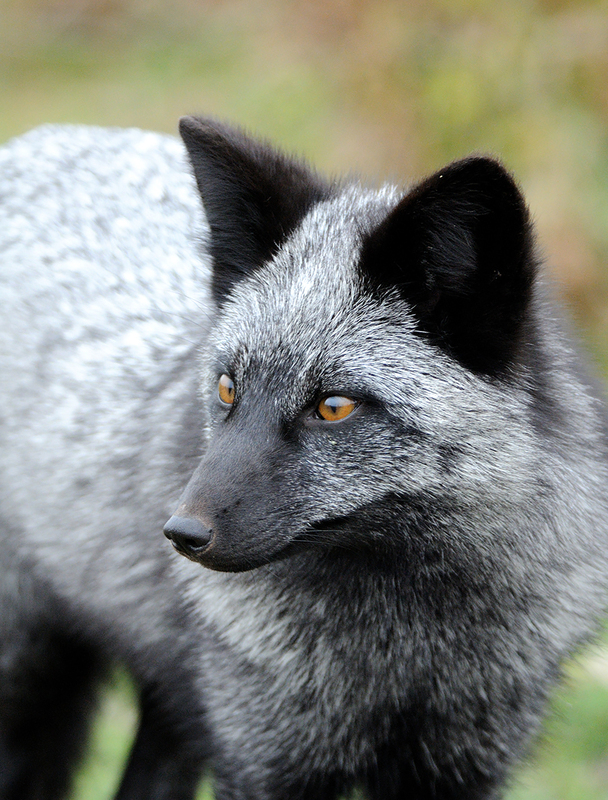 A silver fox is a melanistic form of the red fox; they represent maybe 10% of the red fox population. They have white-tipped tails and fur coloration that varies from black to silver to bluish-grey. Silver hairs are widely scattered over their coats. Their fur is soft and glossy and the soles of their feet are thickly coated. Historically, silver foxes are some of the most valued furbearers, and their skins were worn frequently by nobles in Russia, Western Europe, and China. Their pelts are prized in the fur industry, and they are raised on farms for fur production. They have thick, dark undercoats, and overcoats that are maybe two inches longer than their undercoats. Wild silver foxes can be littermates with the common red variety, but captive silver foxes who are bred for their fur and as pets are exclusively mated to members of the same color. In captivity, red foxes live up to ten or twelve years, but in the wild, their age is often reduced to three or five. They may range from seventeen to thirty-five inches long, with a tail from twelve to twenty-two inches long; they weigh from six to over twenty pounds, and males are usually larger than females. Their fur was once reputed to be finer than that of the European pine marten, but it is a little coarser and woollier around the tail. It is the shortest around the limbs and face, and is finer and wavier on the belly; their ears are thickly clothed with fur, but there are hardly any long hairs there. Silver foxes also tend to be more cautious than red ones. When a fiery red fox mates with a silver fox, their offspring are usually 50% red and 50% silver. Occasionally the colors of mixed foxes blend rather than segregate, producing the breed of fox called a cross fox. Silver foxes prefer a carnivorous diet, but they can rely on plant material when meat is scarce; they are opportunistic hunters and eaters. In the wild, they use different strategies to hunt different prey. When they are hunting small prey, they first use sound to locate it and then spring, pin the victim to the ground, and kill it with a bite. They rely on stalking and rapid pursuit to hunt larger ground prey. Red foxes, including the silver fox form, are one of the most widely distributed carnivorous species in the world, ranging over much of the northern hemisphere and even Australia. Humans introduced them to many habitats for the purpose of hunting. In North America, they are usually found in the Northwest, although, historically, they were trapped in the East. In Russia, they are found predominantly in Siberia and the Caucasus mountain region. In the 19th century, silver foxes were sometimes collected from Labrador, the Magdalen Islands, and sometimes but rarely from the mountainous regions of Pennsylvania and the wilder portion of New York. They were occasionally found in Novia Scotia. According to a naturalist and arctic explorer named Sir John Richardson, it was uncommon for trappers to collect more than four to five silver foxes in a season. They compromise up to 8% of Canada’s red fox population. Silver fox litters can range from one to fourteen pups but average about three or six. The males will help provide food and protect the den, and other unmated females may help raise a large litter. Larger litters occur when food is abundant and when the mother is more mature. Pups remain with their mother until their first autumn; they venture outside the den at four to five weeks of age and are weaned when they are eight or ten weeks old. Males and females are generally seasonally monogamous, and gestation is about fifty-two days. 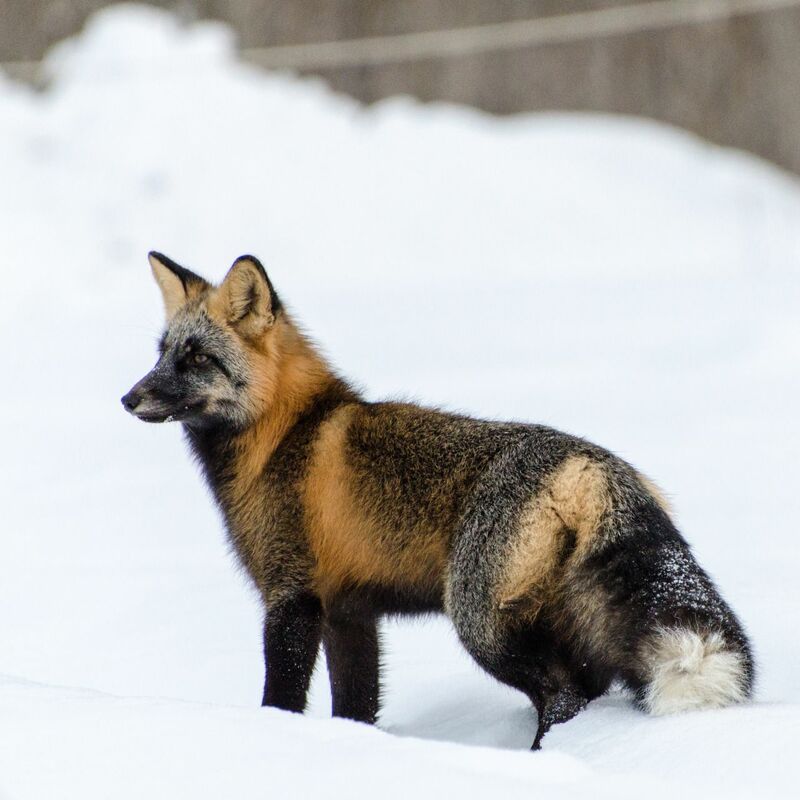 In the wild, silver foxes can mate with other red foxes, or cross foxes, and are not usually limited to breeding with foxes of their own color. Mating occurs once a year, usually in January and February. Domestication of the red fox has produced the silver fox, which is often referred to as the Siberian fox. This domestication is due to selective breeding, resulting in tamer and more dog-like foxes. The domestication began in the Soviet Union and Russia in 1959 and has occurred for over fifty years of experimentation. Some of the observed behavioral traits include tail-wagging when happy, barking and vocalization, and ear-floppiness, which is usually a character observed in domesticated dogs. The project was originally intended to show how selection can work with aggression and behavioral traits, and be further extrapolated to show that dogs could be domesticated from wolves. Silver foxes appear in the stories of many cultures. The Achomowi people from Northern California tell a myth about two creators, a wise silver fox originating from the fog and a trickster coyote stemming from the clouds. The story was a moral lesson, portraying the silver fox as a wise creator and the coyote as a lazy and impulsive animal. Silver foxes have similarly been represented on totem poles. Devoid of sorrow and fright. So will the soul that never dies. The Jack Russell Terrier is a friendly, intelligent, and intensely energetic dog breed that was developed in England, around 200 years ago, for the purpose of fox-hunting. Their description is much as they were two centuries ago, due to their working nature. Measuring between 10-15 inches at the withers and weighing 14-18 pounds, Jack Russell terriers are tough and sturdy and tenacious; they have white coloration with black, brown, or tan markings, usually around the head. They have dense double-coats that are neither silky, in the case of smooth coats, nor woolly, in the case of rough coats. They can also be broken-coated, meaning that they may have longer hair on the tail or the face than that of a smooth-coated dog. Jack Russell Terriers have powerful, well-boned jaws with straight teeth and a scissor bite. Their eyes are dark, almond-shaped, and expressive, and they have V-shaped ears of moderate thickness. They must appear alert and balanced, and their chests must not be too large or wide so that it prevents them from working in burrows. Jack Russell Terriers have a high energy level. Jack Russell Terriers are formally working terriers, having been originally bred to bolt foxes from their dens. They are used on numorous ground-dwelling quarry, such as badgers, groundhogs, woodchucks, raccoons, and red and grey foxes. The JRTs are required to locate the prey beneath the ground and either bolt it or hold it in place while they are dug to. JRTs exiting and working in tunnels. The preservation of this working ability is highly important, and so JRTs are ordinarily very athletic, fearless, intelligent, and vocal dogs. They become easily bored and will create their own fun if they are left alone to entertain themselves; if not properly stimulated or exercised, they might often become moody or destructive. Their drive and high energy make them ideally suited to dog sports, such as flyball or agility. They will not tolerate abuse even if unintentional, and it is not recommended to limit them to apartments unless you can take on the daunting task of producing enough exercise and stimulation for them in a confined space. Various coat colors in Jack Russell Terriers. Jack Russell Terriers have a reputation for being healthy and having a long lifespan. They take their name from Reverand John Russell, who, apart from his church activities, had a passion for fox-hunting and breeding fox-hunting dogs. His first terrier, named Trump, is said to be the foundation of John Russell’s strain of fox-hunting terriers. They have balanced proportions and are totally flexible, allowing them to maneuver underground when they follow their prey into their dens. Example of a rough-coated Jack Russell Terrier. Jack Russell Terriers need good trainers. They can be taught impressive tricks and have been used in multiple films and shows, but unless it is established that the owner/master is the pack-leader, not the dog, the terrier might fall into Small Dog Syndrome and many behavioral problems are prone to arise. They are known to get restless if not enough physical exercise and amusement is applied to occupy their time, and it should be remembered that these dogs are liable to retain working-dog instincts (and they should). Overall, they make energetic and lively pets that small children must be taught not to hit or tease. As implied before, they don’t react well to abuse; otherwise, if sufficiently exercised and handled well, they are a good, brave, and intelligent breed of dog. Judy was originally named Shudi; she was a purebred liver-and-white pointer born in China in February 1936. She was chosen to be the ship’s mascot aboard the HMS Gnat, and then was moved to the HMS Grasshopper, stationed on the Yangtze River before and during World War II. Soon after that, the crew began treating her as a pet, and Judy quickly learned to hear the approach of hostile Japanese aircraft long before any human could, and would warn the crew of their advance. During her time at sea, Judy fell overboard and had to be rescued, got lost and ended up on a different ship, fell pregnant, and also had a gun pointed at her by Japanese soldiers. Throughout her time at sea, Judy’s constant companion was Frank Williams. In June 1939, Judy was transferred to HMS Grasshopper, where she suffered terrible seasickness, and the ship was sent to Singapore after the British declaration of war on Germany. In 1942, Judy was on board during the Battle of Singapore, which caused HMS Grasshopper to evacuate for Singkep Island in the Dutch East Indies. While on the route, Judy alerted the crew to Japanese aircraft approaching; the Grasshopper was hit, and the crew abandoned ship and ended up on an uninhabited island. Judy was nearly killed when she got trapped by a falling row of lockers, but she was rescued when a crewman returned to the stricken ship to look for supplies. On the island with the surviving members of the crew, lack of water became an issue until one day Judy was credited to saving the crew’s lives by digging and unearthing a freshwater spring. The survivors made their way to Singkep and then to Sumatra, intending to link up with the evacuating British forces. They trekked across 200 miles of jungle for five weeks, during which Judy survived an attack from a crocodile. They arrived a day after the final vessel left and were taken as prisoners of war by the Japanese. Judy was smuggled into the Gloegoer POW camp in Medan, where she met the Leading Aircraftsman Frank Williams for the first time. The men endured 3-4 years of horrific labor, torture, and starvation, and also every other degradation the Japanese could inflict upon them. Judy protected the men during her time in prison, and she became the only animal officially registered as a prisoner of war in World War II, with the number ’81A Gloegoer Medan’. Judy was moved around several more camps, and in June 1944 they were moved to Singapore on the transport ship SS Van Warwyck. Williams managed to smuggle Judy on board, and he taught her to be quiet while they were there. After the ship was eventually torpedoed, over 500 passengers did not survive, but Williams did–yet there was no news of Judy. However, when he heard stories of a dog helping to rescue people from the stricken ship, he knew it was her. Les Searle from the Grasshopper smuggled her into the next camp, where she was reunited with Frank Williams.